In Sweden you can find many examples of food packed in tubes, food in tubes. But this is not very common in the rest of the world at if you’re not considering tooth paste a food. We put together a collection of some of the things you can find in a tube in any Swedish grocery store. Now food in tubes might sound a bit weird to most but this way of packaging food is actually a very good. Not only does it look a bit futuristic and cool but there are other good things as well. First there is not very much packaging needed, the tubes are using either thin metal or plastic and compared to glass this way is very efficient. Also since you’re squeezing out the food from the tube and then placing the cap back on there is always little or no air inside that will harm the food. This makes the food last way longer in a tube than what it would do in a jar. In a jar the remaining food gets spoiled faster due to the exposure to air, in a tube the food gets almost vacuum packed after each serving. Another fun thing is that since this way of packaging food is so common some restaurants have picked this up and made dishes using tubes as a homage to their heritage, or just for fun. In the photo on the side here is a dessert made by very talented pastry chef Daniel Roos where he used a tube to create a dessert that was a celebration of his childhood. The dessert was made a few years ago at Operakällaren, one of Stockholms and even Sweden’s most classic restaurants. It has been a while since I saw a dish using a tube in this fashion but i suspect we might see it again from time to time. 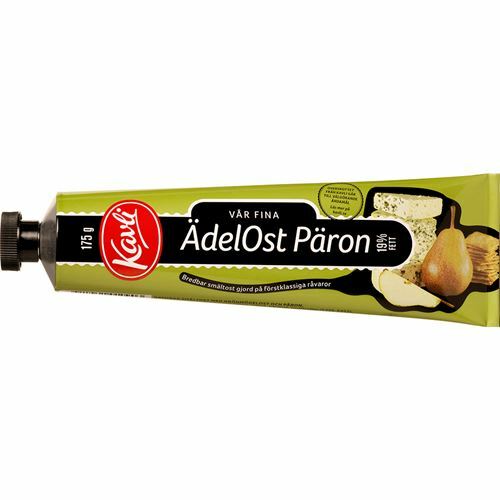 Now on with the show, here is a collection of 18 food items you can find in a tube, in Sweden at least. Food in tubes, lets go! Let’s start with something simple. This is mustard in a tube. Mackerel in tomato sauce. 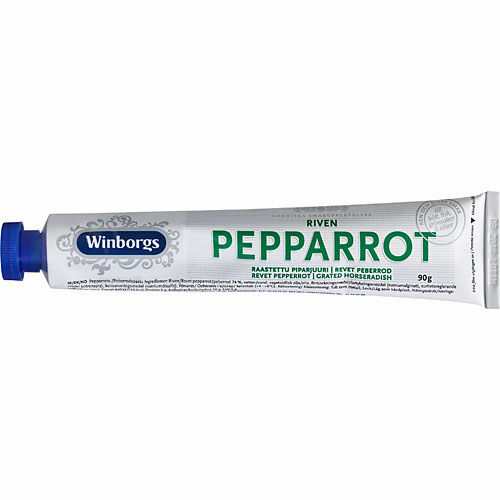 The most common way in both Sweden and the world is to put this in a can but it works in a tube as well. 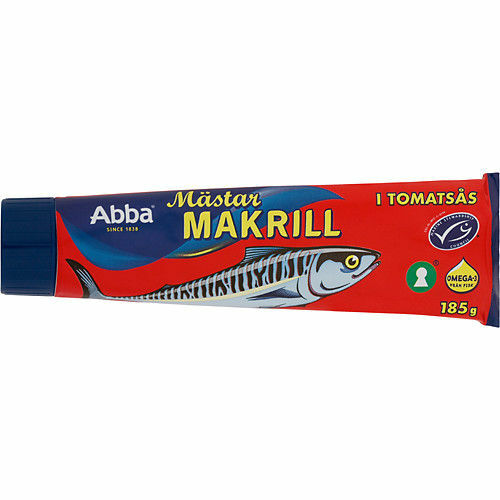 This one is made by Abba, one of Swedens biggest producers of herring products. This is Tartex, this is a staple for any vegetarian. 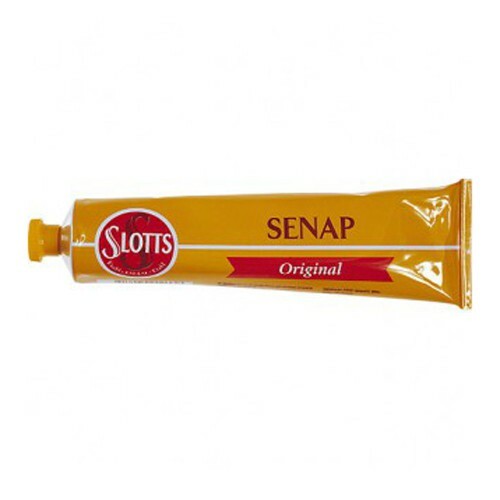 It is a vegetable paste most commonly used as a sandwich spread. 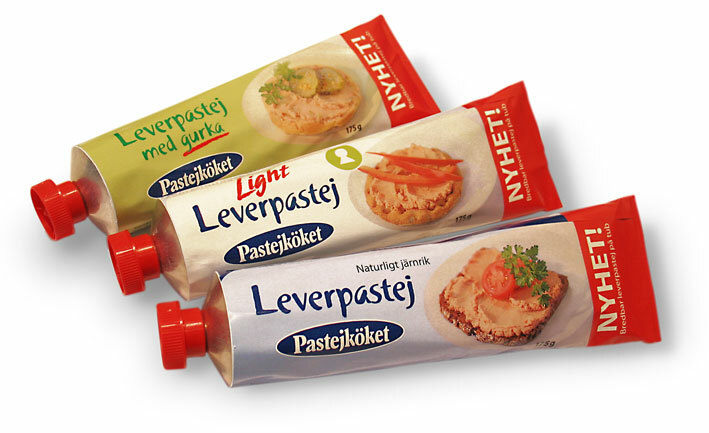 This is a collection of liver paté made by the biggest producer in Sweden. However this type of packaging is no longer on the market. So you can’t sell everything on tubes. Another one from Kavli, this is Aioli, or garlic mayonnaise if you will. 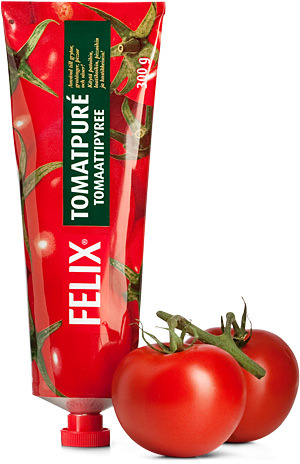 Tomato paste from Felix another big food producer in Sweden. This is one of those products where you will see a huge difference in shelf life after opening. Keep this cold and put the cap back on and it will last way longer than if you buy it in a jar. Remoulad, a mayonnaise based sauce with pickles that is mostly served with fish, produced by Kavli. This variation of Swedish Kaviar is no longer on the market but we had to include it. The product were only on the market for a few months and to many it was regarded a publicity launch. It is Kaviar flavored with banana. I’m gonna say that again. Kaviar flavored with banana. Anchovies cream, this is a very clever product sold in Sweden by Zeta. It is mediterranean anchovies as a paste, perfect for pasta or that Caesar salad. Grated horseradish, not as good as grating fresh horseradish but perfect to have at home if you wanna add some horseradish to a sauce or something like that. 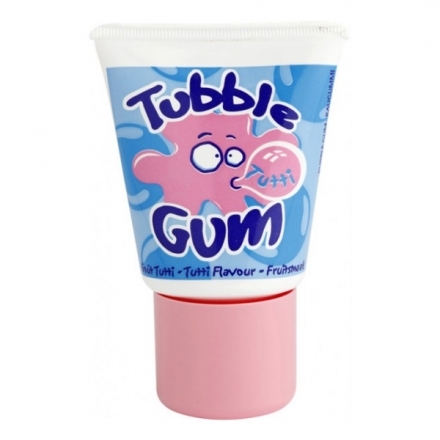 Bubble Gum, of course you can get bubble gum in a tube. The most classic one, Kalles Kaviar is a spread made of fish eggs served on sandwiches and with eggs. A huge product in Sweden. Kalles is the market leader and the most classic one. This one is just weird, this is blue cheese with pear. In a tube. By Kavli. One of the biggest products are soft cheese that comes in any flavor you could imagine, this is Kebab flavored soft cheese, made by Milko. Here is the classic one, mild soft cheese from Kavli. In a tube of course. 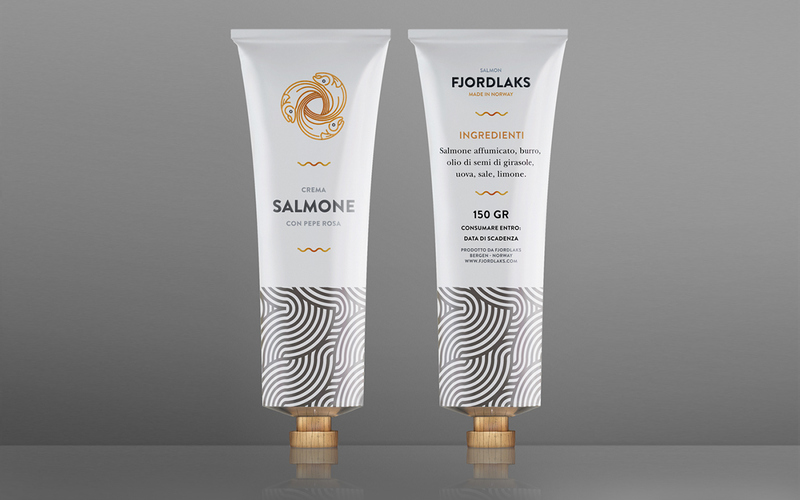 Here is something that is not on the market, a salmon paste made as a part of concept you can read more about here. Chanterelle soft cheese by Fjällbrynt. Min son gillar detta majonnäs var läcker. I juli förra året var vi i Hultsfred och han köpte majonnäs med “Willy”. Han gillade det så mycket att han tog ett par rör till Nederländerna. Nu är de tyvärr. Finns det ett sätt att beställa dessa majonnäs och låt komma till Nederländerna. My son likes this mayonnaise was delicious. Last July we were in Hultsfred and he bought the mayonnaise with the “Willy’s”. He liked it so much that he took a pair of tubes to the Netherlands. Now they are sadly. Is there a way to order these mayonnaise and let come to the Netherlands. Mijn zoon vindt deze mayonaise erg lekker. Afgelopen juli waren we in Hultsfred en hij kocht deze mayonaise bij de “Willy’s”. Hij vond het zo lekker dat hij een paar tubes mee nam naar Nederland. Nu zijn ze helaas op. 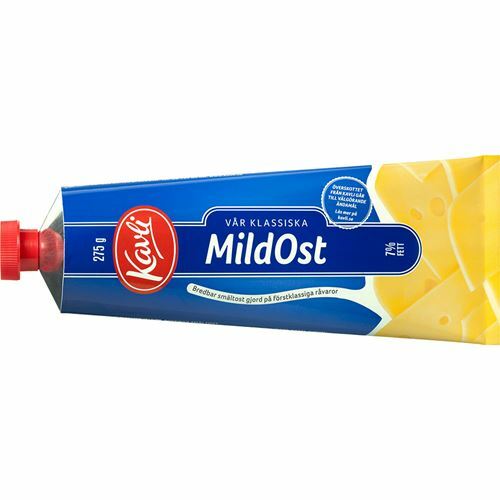 Is er een manier om deze mayonaise te bestellen en naar Nederland te laten komen.